Charming single Home with wrought iron curb fencing and mature landscape. 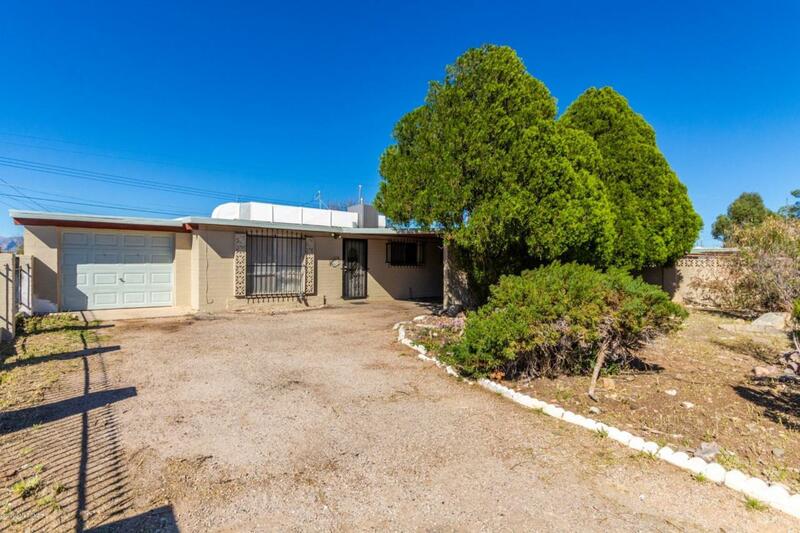 breathtaking Mountain Views, quiet neighborhood, & perfect Investment or Starter Home. Neutral palette throughout, ceiling fans, 1.5 baths, and spacious kitchen. Plenty of wood cabinets, white appliances, stylish counters. 3 Bedrooms, ample closets, and 1 car garage. Arizona room! This is a must see on your list. Convenient location.